What do you call it? Digital advertising, PPC (pay-per-click), SEM (search engine marketing), paid advertising, online advertising? These terms are frequently used interchangeably for advertising brands, solutions, or products online. On the surface, digital advertising is paying to show your ads online – no matter whether that’s on Google, Bing, Facebook, LinkedIn, Youtube, or Twitter. Go a little deeper, however, and it is spending money to ensure your content displays above your competitors and to your ideal audience. Digital advertising allows you to give your customers a seamless, continuous, cross-channel experience with your company. You are able to advertise to your ideal customer base with more precision than using traditional marketing or advertising methods. On this page, we will dive deep into digital advertising as a whole and help you get started on the path to digital advertising success. 1Why is Digital Advertising Important? Digital advertising helps you stay relevant. If you are hoping to save a buck and show up organically, good luck. We’ll be very impressed if you get as many cleaning jobs as any of the people showing up in the first four spots … which they paid for. Which brings us to the next point. Another reason you should implement digital advertising into your marketing strategy is to keep up with your competition. If you are a cleaning company in the Tampa area and you aren’t advertising your business online, it’s likely not many prospects are finding you. Therefore, you’re likely losing out on potential business. How Do You Stay Relevant With Digital Advertising? To stay relevant with digital advertising and increase your lead generation opportunities, your business should use everything that digital advertising has to offer ... which is a lot. Utilizing the key features of digital advertising will allow you to get smarter with your advertising. You will be able to reach the right person at the right time with budget allocated to what your user will respond to. Let's go over some of the key features of digital advertising that you should be taking of advantage of from the get-go. Keywords, demographics, behaviors, interests, website traffic, location, etc. are all targeting options that you can use to show your ads to the person who is most likely to engage with your ad. Advertising online provides you with so much insight, allowing you to become a more effective marketer. On some platforms you can see gender, age, interest, etc. for users who engaged with or viewed your ad. Using that information can help you enhance and refine your targeting moving forward. You can reach customers where they are. Fewer people watch live TV. Most people are now recording their favorite shows so they can watch it at a later date and fast forward through commercials. Determine when your customers are searching or scrolling and only have your ads show then. Using ad scheduling can help ensure that you aren't spending money when your ideal customer isn't active on your advertising platforms. Target your spending to where your customers are and what they are specifically interested in. Depending on your buyer persona, you may only need to advertise on one platform as opposed to another. Gaining this insight can give you more control over your budget, and with different targeting options, you can ensure you are only showing your ads to the users that are most interested and likely to click or convert. Keep in mind that some platforms will spend up to 20% more than your daily budget if their algorithms estimate that you can get more clicks and conversions. So make sure that you are keeping an eye on your spend and overall budget on a frequent and consistent basis. How Do You Pay to Advertise Online? There are four main ways that you pay to advertise online: Cost Per Click, Cost Per Thousand Impressions, Cost Per Action, and Cost Per View. Cost Per Click (CPC) is paying every time someone clicks on your ad. Cost Per Thousand Impressions (CPM) is paying per every thousand impressions. An impression refers to when an ad is viewed once by a visitor or displayed once on a webpage. Cost Per Action (CPA) is paying when someone performs an action with your ad, such as filling out a form or watching a video. Cost Per View (CPV) is paying when someone watches your video ad. Choosing a payment option should be based on the goal of your campaign and the results you have seen come from it historically. CPM is typically used for branding purposes when you are just trying to get people to see your ads. CPC and CPA, on the other hand, is kind of like flipping a coin. It’s almost always best to pay for CPC so you are paying when someone interacts with your ad. After a while, you can gather enough data to determine if users are frequently converting; if they are, you can switch to CPA, which allows you to set a certain amount to pay for those conversions. Now that we’ve covered the basics of digital advertising, we will break up its three biggest components: paid search, paid social, and display ads. How do they work, why are they beneficial parts of digital advertising, and what are important considerations to make note of if you’re interested in testing the waters? Let’s discuss. Basically, HubSpot says it best. While organic search is focused around finding the content through algorithms and SEO best practices, paid search is a way to pay to share your message with a targeted audience. Even if you are ranking above your competition organically in search results, how far down the page does your content display? Over the last few years, organic listings have dropped lower and lower on the search engine results page (SERP). Why? Because more and more businesses paying to have their website/content display within the top five search results. In addition to recent trends, Google optimizes a search for the user, whether it chooses to display a map when users search for something needed nearby or enlarges a featured snippet of text from a high-ranking website when someone searches a question. A "fold" is basically the bottom of your screen where your computer cuts off content. "Above the fold" refers what you initially see when loading a webpage. "Below the fold" is everything else that becomes visible as you scroll. As you scroll further, you will find a map with locations and addresses of local businesses that match your search (in this case, cleaning services in the Tampa area.) After the map is where you will start to discover the organic search results of cleaning services. With these search results in mind, if you are relying solely on organic search to get more website views or increase your lead generation, you’re going to have a tough time doing that. Why? users have to scroll far down a search engine results page (SERP) just to start seeing the organic content. You might not even rank in the top 4-6 organic searches, meaning that user will have to visit the next page to find you. Similar to search, organic social postings have started showing up less frequently, making more room for paid posts that relate to a user’s demographics, interests, and behaviors. This includes displaying paid content in locations where organic postings aren’t, such as on the right side of a desktop when a user is scrolling through their Facebook feed. 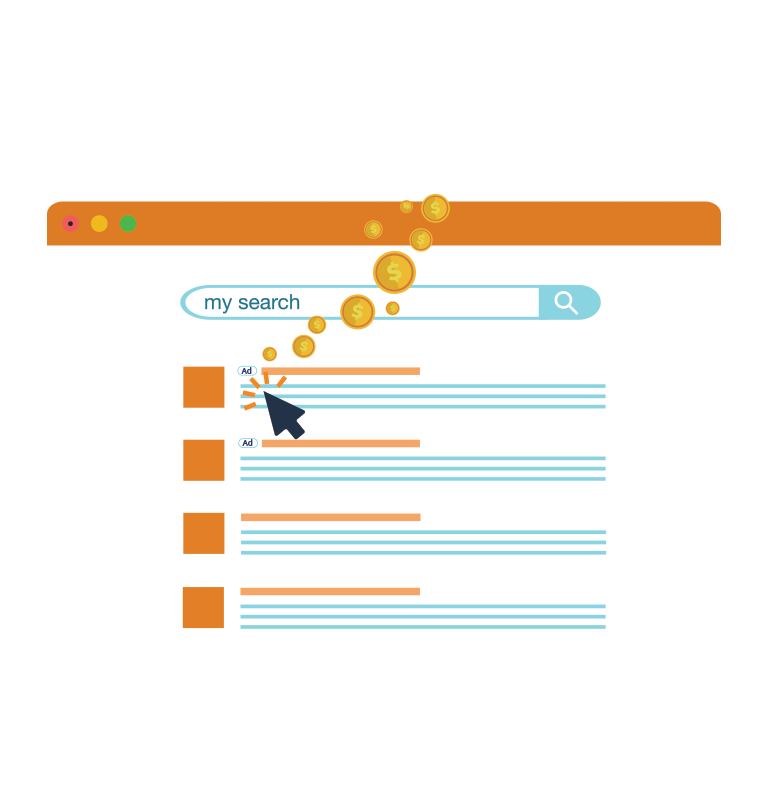 What is Paid Search, and Where Do I Begin? Paid search is paying to advertise your content on a SERP like Google or Bing. When you pay for ads in search engines, they have the potential to be displayed at the top of the SERP. Paid search is a great digital advertising component for any business looking to rank their content higher and target the keywords most important to driving conversions. For the most part, we are going to refer specifically to Google Ads, which is the platform used to advertise on Google. However, Google Ads and Bing Ads have a lot in common and their implementation strategies are almost identical, so many of the elements we discuss about paid search can be applied to Bing as well. When starting with paid search, the first thing you need to figure out is what search engine your customers are searching on the most. Is it on Google or Bing? Most of you will likely say Google, as it’s typically considered the “big dog” of search engines. But, don’t rule out Bing just yet. Look at your analytics: Do you get traffic from Bing? Are your competitors paying to put their ads on Bing? The results may surprise you, so don’t assume anything when it comes to paid search. This step is important because you want to be sure that you are using the optimal search engine a majority of your target audience is using for their search queries. Don’t just assume what platform to use; collect data from your website analysis platform, and go where your audience is. Will My Ads Always Show Up in a SERP? Although you’re willing to pay to show up online, you aren’t always guaranteed to show up on the first page. Why? Google charges you for ads based on an auction system that takes into consideration how much you are willing to pay and the quality of your ad. How Google ranks its ads in a SERP is dependent on their algorithm with takes into consideration your bid amount and the quality of your ads. On the surface, you have to outbid others bidding on the same keywords as you in order to show up above them. You only have to pay one penny more than the next competitor in order to rank higher than them (as long as it is still within your max CPC). Google also considers your quality score when determining whether or not to display your ad. For a more detailed explanation of Google's ranking algorithm, check out this great article. Your Google Ads account name should be your company name. Let’s say you are a clothing store and your name is “Fashion is a Passion.” Under your account, you will set up all your billing information, provide any access to colleagues, etc. – pretty much anything that pertains to your entire company regardless of campaign or goal. The next step is to set up the specific ad campaigns your business will run. A campaign is a set of ad groups, ads, and keywords that revolve around one main message. Your campaigns should be tied to a specific business objective your business is trying to meet. You should build out a different campaign for each objective your business has. 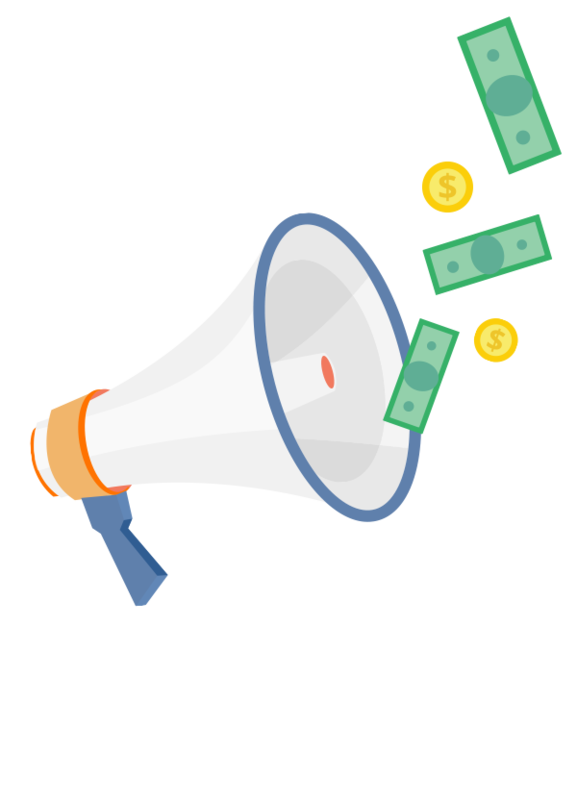 At the campaign level, you will identify the budget your business is allocating to run all the ads tied to your campaign. You can also adjust the goal of your campaign, the language of your ad text, and the bidding strategy that you want to use. Ad groups are how you segment your ads. 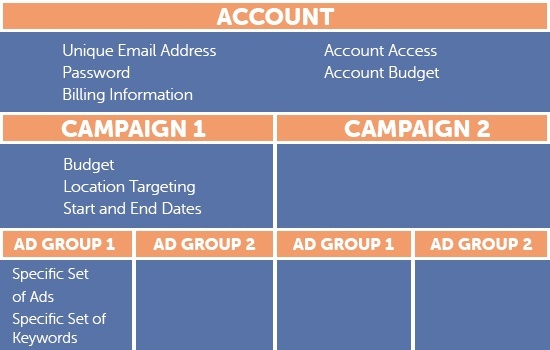 Just like how there can be multiple campaigns per account, there can be multiple ad groups per campaign depending on what ads you want to run. Deciding how many ad groups you need to create depends on the different business objectives for that campaign. Now that you understand the typical ad structure, you’ll need to go through and actually identify your campaigns, ad groups, ads, and keywords. While the campaigns are pretty simple because they’re directly related to a specific goal your business is trying to accomplish, ad groups can get tricky because there are a lot of paths you can take – ultimately, there is only one path that is the best. There are some things to keep in mind when building out your ad groups and ads. With these key things in mind, you’ll create the best ad structure that is more likely to bring you the best results. Whenever you’re creating an ad, you need to consider what your customers are actually going to be searching for. The typical words that your targeted audience uses would be your keywords (or key phrases). Do proper keyword research: Put yourself in your customers’ shoes and brainstorm a list of what they would search for; you can also utilize the keyword planner within Google Ads to help identify the best keywords to identify with your ad. 2. Your Keyword Match Type Matters. 3. Consider How Your Ad Text Would Read. Your ad text is the most important part of your ad – this is because it’s what a user will read when your ad shows up on their search result. Capitalize the first letter of each word, regardless of word length. Add a call to action (CTA) to encourage users to take a certain action. Google takes into consideration the strength of your keywords when determining if your ad should appear in a search query. Since your keywords and ads are a subset of your ad group, you have to make sure your keywords and ads align completely throughout the user’s experience with your brand – from their search query, to the keyword it matches, to the ad text that is displayed, to the landing page that they are directed to. This set of criteria is calculated together and is displayed as your quality score. Quality score is “an estimate of the quality of your ads, keywords, and landing pages. Higher quality ads can lead to lower prices and better ad positions.” Basically, Google is judging the quality of your ads to determine whether the ads will lead to a good customer experience. Ad Relevance: This determines whether your ad text directly relates to the users’ search query. Expected Clickthrough Rate: This calculates ad relevance + the history of your ads’ performance and keywords. Landing Page Experience: This judges if your landing page aligns with the keywords in the user’s search query and the customer’s expected experience with that page. All in all, a user’s search query should be included in your keyword, ad text, and landing page content. Applying that thinking when building out your ads will lead to a better quality score. Negative keywords are words or phrases that can prevent your ad from displaying in certain search queries. This helps to avoid wasting ad spend on search queries that don't align with your true buyers. How do you identify negative keywords for your ad content? Once you’re here, you can see the various searches people are making that result in your ad showing up in their search results. If you spot any part of these searches that are unnecessary, such as a word that is unrelated to what your business offers/sells, then you would include that word as a negative keyword. Using the keyword “casual shirts” example above (note that this is a phrase match keyword), someone could search for Women’s Casual Shirts and your ad could populate in the search result. If you owned a men's-only clothing store, you would want to add “women” as a negative keyword to avoid showing your ad to someone looking for women’s clothing. Ultimately, you could be wasting your money if you don't use negative keywords. Maximum CPC is a metric that represents the most you are willing to spend on a keyword within an ad group. You’ll set this number when you are creating an ad group, but it can be changed later. You should set your maximum CPC based on how much competition you think there will be for this keyword and what you are comfortable spending. Just because you set this metric doesn’t mean that is always what you pay. You’ll only pay what it takes to outbid the next bidder within your Max CPC. 6. Create Relevant Landing Pages Based on Your Ad Groups. Utilizing landing pages is one of the most important and fundamental aspects of digital advertising. A landing page is a web page that a visitor “lands” on when they click on a search result or online ad. It could be a homepage or any page on your website. It can also be a designated landing page focused on a specific call to action as well as a clear path to what their next steps are to keep interacting with your brand. We recommend using designated landing pages for all paid advertising because they are more successful in driving leads and providing a good user experience. The number of landing pages your campaign needs depends on how closely related your ad groups are. For example, if you were a clothing store for both men and women, you would want one landing page for men and one landing page for women. But if you were a unisex T-shirt shop, you might only need one landing page. As mentioned previously, a strong landing page experience impacts your ad’s quality score, which helps your ads show more often. Always double check that your ad text directly correlates to the landing page you are sending the user to. If your ad text describes a webpage with short sleeve shirts, make sure it takes them to that page and not to another webpage with dresses. Giving users a seamless experience with your brand is the key factor to digital advertising and, ultimately, winning your potential customers over! Ad extensions allow you to include additional information that gives your prospective customer more reasons to choose you. Not only that, but they also take up more real estate on the SERP, which can push your competitors down the page and leave more room for those potential customers to only see you! Let's take a look at some of these ad extensions. Sitelink: With this extension, you can provide additional links to your website like an about us page or hours and directions. Call: This adds your phone number to the ad and encourages users to call you. Location: This extension adds your address within the ad text. Callout: This extension allows you to mention tidbits of information that entice customers to choose you, like 24-Hour Assistance or Free Delivery. Structured Snippet: This provides a predefined header for you to add information about your business, like a product or service category. Creating an ad extension is very easy to do and a necessary step to making sure your campaigns and ads are going to perform to the best of their ability. They can improve your ad clickthrough rate and add value to potential customers. Google Ads offers valuable tools that marketers should use when monitoring and evaluating their digital advertising efforts. Being able to see how current ads are performing will give you more insight and allow you to identify ways to optimize your current campaigns and ads to improve your process of creating new ones in the future. After you create your conversion, you’ll need to add coding to the appropriate section of your website or app. You might want to get a developer to help you with this. This tab contains all sorts of metrics to help you gain more of an understanding of how your ads are performing. For example, you can look at the Hour of Day report. As the title suggests, this report shows you how your ads performed at all times of the day. This specific report is helpful because you can set up an ad schedule (under settings). An ad schedule allows you to set up specific time slots when you want your ad to show. For example, between the hours of 11 p.m. and 6 a.m., your customer base might be sleeping. Therefore, you may want to turn your ads off during those hours. Whether the call was answered. The duration of the call. The area code for the user that called. This tab shows a breakdown of the age, gender, and household income of the people interacting with your ad. On average, where is your ad displaying on the search engine results page? You should always focus on this metric because Google typically only has four ad slots on the first page, so you want to make sure you are ranking high enough for people to see you. Aim to be, on average, in the 2-4 range to start. Mobile listings have even fewer ad slots, so try to land in the 1-3 range there. Impression share is the percentage of impressions that your ads receive compared to the total number of impressions that your ads could get. Impression share is calculated based on only the specific keywords you’ve defined and the locations you are targeting. IS Loss (Budget): Impression Share Lost due to Budget. This is pretty much Google telling you that you need to spend more money to increase the amount of times your ads are seen in a search result. IS Loss (Rank): Impression Share Lost due to Rank. This is Google saying that you aren’t ranking high enough to show up. There are a couple of different ways to improve that. It may be that you aren’t paying enough to show up on the first page. You’ll want to look at the status of your keywords in order to update how much you are willing to spend on each keyword (which could also mean that you need more money). It could also be that Google doesn’t think your ads have high enough quality to show up in the users’ search query, which relates directly to your quality score. To improve your quality score, you should go back and consider your ad relevance, expected clickthrough rate, and landing page experience. We have talked about it a lot, but make sure you are always checking your quality score and figuring out ways to improve upon it by adding all of the quality score columns (quality score, ad relevance, landing page experience, expected CTR) to your column set. Expand your keywords, break out new ad groups, and refine your ad text! Under the keywords tab, there is a “status” column. This column has a variety of statuses that can help you identify the performance of your keywords and what could be hindering their performance. Based on the status you see, there are different measures you can take to improve them. When you hover over the status, it gives you more information about the reason you were given that status. Keyword statuses change very frequently, so review this column on a weekly or bi-weekly basis, depending on your industry, to ensure your keywords never become irrelevant. This report will show you all the search queries that a user typed into Google that triggered your ad to populate in the SERP. Check the search terms report often to make sure you are finding new keywords to target and new negative keywords to exclude. Identifying new keywords will help increase the chances of your ad appearing in a user’s search result. Identifying new negative keywords will help better target your ad toward right-fit consumers who would most likely be interested in your business and the products/services you offer. The Keyword planner can help you decide what keywords users might be searching for based on a phrase, website, or category. It can help get search volume data and historical trends and help you to expand upon your current keyword lists. The Ad preview tool lets you choose specific locations, languages, and devices to search from and then you can pick a search term that your customer might use; it will then show you what the SERP would look like based off those parameters. It will also give you reasoning for why your ad is or is not showing for that query. Change history keeps track of all of the changes that happened in your account. This information can be useful if you see a large fluctuation in results, as you can pinpoint what day it happened on and see if any dramatic changes were made. Google will create multiple opportunities to help optimize your account. Pay close attention to these: You may assume that everything Google says in here is the right thing to do, but it may interfere with the ultimate goal of your campaigns. You can build custom reports based on all of the metrics within your Google Ads account. While paid search is used to display your ads on Google and Bing search results pages, paid social is advertising on the largest social media networks. According to Statistica, in 2017, 71% of internet users were social network users. Social media is one of the most popular activities that people engage in on a daily basis. On the digital advertising side, social media is a popular place to reach new, specially targeted audiences or re-engage with existing contacts. When it comes to advertising on social media, there are three platforms that stick out: Facebook, YouTubem and LinkedIn. Being three of the largest social networks around, adding these platforms into your digital advertising efforts can bring you new prospects and drive conversions for your business. We will dive deep into each platform, covering everything from the types of ads you can run to how to pay and track the performance of your ads. Let's get into it! Facebook is the #1 social media platform with over two billion daily active users. Since 93% of marketers use Facebook advertising on a regular basis, it’s important to understand the basics to get you on the right track to compete with your competition. Facebook advertising is a great way to attract potential customers while they are active on Facebook. Your ads, depending on what you choose, can show up in their feed, on their sidebar, in Messenger, on the Audience Network, or even on Instagram! The first thing we recommend doing when setting up a Facebook Ad account is to add the Facebook pixel to your website. The Facebook pixel is a snippet of code that will allow Facebook to track people that click on your ad and visit to your website; it will only start tracking from the day you add it and is not retroactive. A Facebook ad account is created through your business’s Facebook page. Once you’ve created your account, you can set up billing and provide any access to employees who will need it. Then, you can start creating your first campaign. The Campaign contains the “objective” of your strategy, which will be the campaign type that you choose. Campaign objectives are broken up by Awareness, Consideration, and Conversion, similar to the three buyer's journey stages. The objective you select should align with your business goals. Note: There are a lot of ifs and thens when creating ad sets and ads. Depending on what objective you set, there will be different options available to you. For the sake of clarity, we will solely focus on the basics of ad set development. Once you’ve established the marketing objective for your campaign, you will create different ad sets, where you will set your audience targeting parameters, ad placements, and the budget and schedule of your ad. To help your campaign succeed, Facebook has an extensive list of user targeting options to help you reach the right-fit customer who could be interested in you, your product, or service. When choosing the best targeting audience for your desired ad set, you can create a new audience or use a saved audience that you’ve created in the past. If you have any specific locations you want to target your audience in, set them here. You can also exclude any locations if needed. Determine the age range of the audience who’d find your ads most relevant. This setting comes in handy for businesses who sell products or services geared toward a specific age range. Establishing age range will better target who will see your ad on their feed. If your products and services are more relevant for men or women, be sure to check this off appropriately. Typically, it is best to select All, unless you only want to show your ads to men or women. Each of these parameters goes into even more detail to allow you to further refine your desired audience. You can specify the level of education a person received, the job titles and industries your audience works in, what kinds of foods they like (organic, fast food, etc. ), or even if they like reading magazines. Be sure to keep an eye on the “Audience Size” gauge on the right-hand side to ensure the toggle stays within the green area. You don’t want an audience that is too broad or too specific. There are also connections options for apps and events (if applicable), such as people who responded to your event or people you used your app. Note: If you want to save this audience for use in the future, make sure to click “Save This Audience” at the end of your Audience tab. Establishing the placements for your ads will make sure your ads are showing to the right people in the right places. There are only two placement types: automatic and edit. Automatic Placements are recommended by Facebook because, according to Facebook, they will “maximize your budget and help show your ads to more people. Facebook's delivery system will allocate your ad set's budget across multiple placements based on where they're likely to perform best." Depending on your objective and ad type, every placement may not be available. However, by using automatic placements, Facebook will place your ad where it is likely to perform best, taking the stress off your back. The other option is edit placements. With edit placements, you can remove and specific placement you don’t want your ad to show. However, when you edit placements, you are reducing the number of people you can potentially reach. 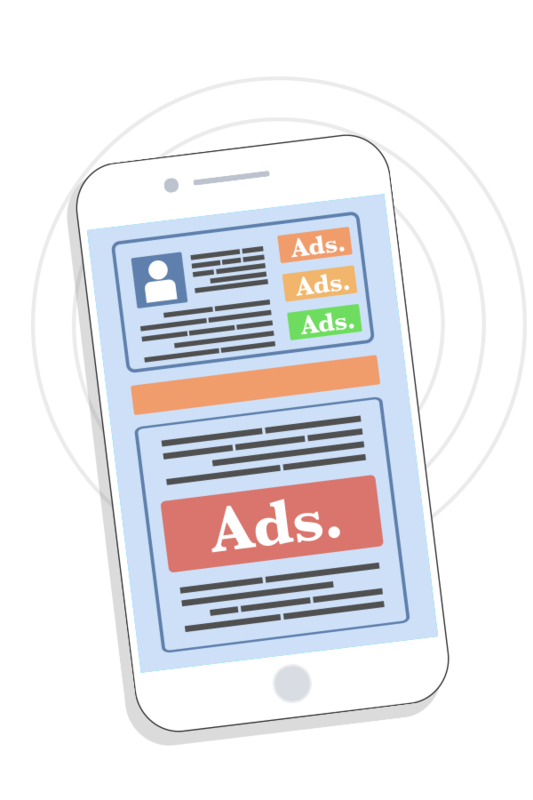 Besides placements, you can also refine the device type you’d like your ad to run on (All devices, mobile, desktop, or connected TV) and if you want to refine the type of mobile devices that will show your ad (All, Android only, iOS only, feature phones only). It is recommended that you run your ads on all devices. The last ad set setting you will adjust is your ad spend and schedule. For your budget, you can either select a daily budget or a lifetime budget. A daily budget is the average amount you will spend every day. A lifetime budget is the maximum amount you will spend throughout the duration of your ad set. When you schedule your ad set, decide if you want to run your ad set continuously or if you want to set a start and end date. Use this tool as a guide when creating your budget and schedule. It can be useful to see how adjusting your budget and schedule affects the spend your business will have to allocate toward running your ad set. The last part of your campaign creation is building out a specific ad for your desired ad set. This is the actual creative that will display to your target audience! You can either create a new ad or use an existing post that is already published to your page. For this section, we will focus mainly on creating a new ad for your campaign. Note: Make sure you link the correct Facebook Page and Instagram account to your ad so it will properly display on your business Page. Depending on what format you select, you will have to follow the rest of their respected steps. 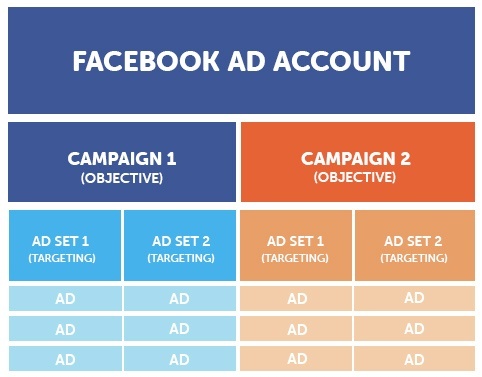 So, now that we’ve discussed the basic structure of a Facebook Ad and all the necessary settings you should adjust to tailor your ads to your audience, let’s briefly go over some of the most popular campaigns businesses run on Facebook. Ads for this campaign type should include some text and an image. Luckily, every ad format is available with a website click campaign, even though the two most popular are a single image ad or a carousel ad. Be cautious of the 20% rule: With image ads on Facebook, you can only include text on the image that takes up to 20% of the space on the entire image. So, be selective how you create your images. With a video views campaign, you can only create a single video ad or a slideshow ad. Be sure to keep Facebook’s video recommendations in mind; these are located within the media tab or your ad. Here, Facebook recommends the best length, aspect ratio, and sound of your video. It also recommends an .mp4, .mov, or .gif format, and, based on your ad placement, the required lengths of your videos. Under the text tab of your ad, you will add relevant text about your video ad. Make sure your text supports the video you are advertising to make it clear for the viewers what they can expect. This type of campaign is similar to a website click campaign in which you drive users to a page on the website. But, once they reach that page, encourage them to take an action on a certain webpage element, such as filling out a form. When running a conversion campaign, you will first choose where you want to drive traffic, whether it be to your website, an app, or to Facebook Messenger. Then you will have to select a Facebook Pixel or event to track conversions. Like a website click campaign, you also have access to all ad formats. Since you can create multiple ads per ad set, it might be beneficial to create ads with various formats. By doing this, you will create ads that appeal to different types of people (i.e. people that prefer videos over photos, or people who prefer multiple photos over a single image). As you build out your ads, take a look at the Ad Preview. Here, you can check what your ad will look at when run in any of the placements that it will show. This ad campaign is similar to the website click ad campaign. However, instead of taking you to the website, it opens a form directly within Facebook for the user to complete so they don’t have to navigate away from Facebook to convert. With a lead gen campaign, you can create carousel ads, single image ads, single video ads, or slideshow ads. Again, depending on the format you select, make sure to properly add the correct links, images, video, and text to your ad for optimal reach and conversion. Depending on what you are advertising for, make sure your CTA correlates with your offer. For lead gen ads, you can create custom forms within Facebook Ads Manager. These forms allow people interested in your products or services to fill out content directly within the ad without getting redirected to another website. Keep open-ended questions to a minimum. Limit the number of multiple choice answer options. With all the work you put into targeting the right audience and sharing the right content, you want to monitor and analyze the performance of your social advertising efforts. Luckily, you can do that right in Ads Manager. In Account Overview in Ads Manager, you have the ability to see how your entire ad account is performing. By checking this often as you run more ads, you can gain insights on ways to adjust and improve your campaign objectives, targeting, and budget. The overview section is designed to give you a holistic view of your ad account's performance, and there are several ways to dive into your data and learn more about your audience. There are many valuable tools within the overview section of Ads Manager when analyzing the performance of your campaigns. You can see how your campaigns are performing over time with a detailed chart. You can also look at the different metrics of a campaign, such as reach, impression, and link clicks. You’ll also receive a breakdown of the people who interact with your ad and what region they viewed it in. Your audience can be broken up by gender, age, and the time of day they viewed your ad. You should analyze this information to refine future targeting parameters and objectives. If you notice most of the people interacting with your ads are female, maybe try targeting your next ads to only females. If you notice your three-week ad is performing well the first week it is running but drops in performance the second and third week, consider only running your ads for a week-long period. Every ad you run should get better and better based on your past ad performance; take what you learned with other ads and apply them to future campaigns to improve the key metrics that will bring you better engagement, conversions, clicks, etc. Over the last two years, the number of small and medium-sized businesses advertising on YouTube has doubled. Businesses continue to find more and more ways to use video advertising to boost conversions and sales, and with YouTube being a top five social networking site, it’s a great place to put your video marketing to the test. What Types of Ads Can You Run on YouTube? Although these ads are skippable, you only pay when viewers watch or interact with your video. These ads are created from videos that are already published on YouTube. You can manage TrueView video campaigns using the “Video” campaign type within Google Ads. The two types of TrueView video ads are TrueView in-stream and TrueView video discovery. Use these ads to play your video ad before, during, or after other YouTube videos. Users can skip this type of ad after five seconds. For in-stream ads, you only pay when a viewer watches 30 seconds of your ad, the full duration if less than 30 seconds, or if they click on your ad. These ads are used to promote your content in places of discovery, whether it’s on the YouTube mobile homepage, in YouTube search results, or next to related YouTube videos. Because these ads do not directly play before, during, or after a video, they will appear in the form of a thumbnail image and will include some text. Video discovery ads encourage people to click on the ad to watch the video, in which it will play on the YouTube watch page or on your channel page. You are only charged when viewers click on the thumbnail to watch your video. Bumper Ads can only be up to six seconds long; luckily, they aren’t skippable. These are great ads to run if you want to reach a broader audience with a short, memorable message. They play before, during, or after a user watches the main video they clicked on. Unlike TrueView video ads, bumper ads use CPM (cost-per-thousand-impressions) bidding, so you pay each time your ad is shown 1,000 times. YouTube advertising is created and managed in Google Ads. While there are many steps and substeps of creating an awesome YouTube ad, we are going to focus on the most important steps you should know. This section will cover the most important parts of creating a video ad for YouTube through your Google Ads account. 1. Choose a Goal for Your Campaign. By setting a goal prior to creating your campaign, Google Ads will create the best-targeted advertising options for your business. Depending on the goal you select, you will have access to different features your business can apply and use for your YouTube advertising. Notes: Bumper ads are only available when you select a standard awareness campaign subtype of the brand awareness and reach campaign. You must also select a bidding strategy of max CPM. Outstream ads are only available for an outstream campaign subtype of a brand awareness and reach goal campaign. It will follow similar steps but will also include additional steps. 2. Determine Your Budget and Start/End Dates. Your budget will define how much you are going to spend on your ads. When setting your budget, you can either select a daily spend or campaign total spend. With daily spend, you won't pay more than your daily spend times the average number of days in a month. You might notice that on different days you are paying more or less than your daily spend. A campaign total budget represents your total spend for the duration of the campaign you are running. For this budget type, you must schedule an end date for the campaign. When it comes to start and end dates, you'll want to consider how long you want to run your ad for, whether it be for a select amount of time or indefinitely. You can choose to start your campaign as soon as it is approved (typically within one business day), or you can set a start date. Setting a start date might come in handy if you are trying to get ahead of the game and are creating an ad campaign for a dedicated event or promotion your business is running. Depending on who your customers are, where they live, and what products and services you offer, you’ll want to tailor your target location as much as possible. If you sell a product only to people in the state of Florida, make sure to target Florida so only viewers in Florida will be able to view your ad. 4. Choose Your Bidding Strategy. Maximum CPV: The max amount you are willing to pay each time your ad is viewed. Maximum CPM: The max amount you want to pay each time your ad is shown 1,000 times. Viewable CPM: The max amount you want to pay for 1,000 viewable impressions of your ad. For video ads, an ad is considered "viewable" when at least 50% of the ad shows on screen for two seconds or longer. Target CPA: Google Ads automatically sets bids to give you as many conversions as possible at the target cost-per-action (CPA) you set. Note: Depending on what goal or subtype of your campaign, all of these options may or may not be available. *For a bumper ad, you must select a bidding strategy of max CPM. 5. Define Your Audiences and Demographics. To better attract right-fit prospects to your business, you should target your YouTube ads based on what your buyer profile and buyer personas look like. Your buyer personas are a representation of your ideal customers. Luckily, there is a wide range of targeting options when you advertise on YouTube, so you can be sure to target the right audience that will most likely be interested in your business or what you sell/offer. Show personalized ads to YouTube viewers as video partner sites based on their past interactions with your channel and videos. Affinity audiences: Locating people who already have interest in relevant topics. Custom Affinity Audience: Specifically target people by searching for interests that directly align with your brands. In-Market Audiences: Targeting someone who has shown intent to buy or is actively searching for information related to a specific interest. Life Events: Targeting someone who has recently experienced a significant life change, such as moving or getting married. Custom Intent: For video ads on YouTube, you can create an audience of users who have searched for certain terms on Google. 6. Narrow Your Reach With Keywords, Topics, or Placements. Use keywords, topics, and placements to narrow the reach of your YouTube ads. You can create any match type of keywords, or use suggested keywords based on your website or your products or services. Narrow down topics relevant to your business and your ad to place your ad on websites, apps, or YouTube videos about that subject. The topics you can choose from are based on industries or interests. 7. Connect Your Video Ad. The next step to creating a YouTube Ad is to connect an existing YouTube video. If your video isn’t already on YouTube, don’t worry; just click “go to YouTube to upload your video,” then return to this page. *Bumper ads are only available when you select a standard awareness campaign subtype of the brand awareness and reach campaign. You must also select a bidding strategy of max CPM. ** Outstream ads are only available for an outstream campaign subtype of a brand awareness and reach goal campaign. With a few final touches and some double checking, your ad is ready to go! 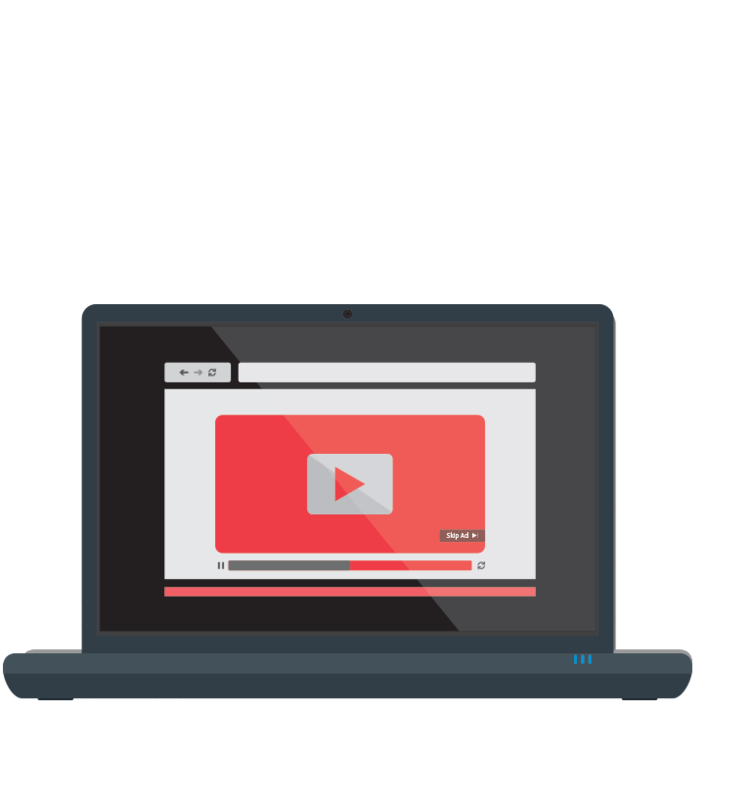 Monitoring key metrics of your YouTube ads can help you monitor the performance of your campaigns and discover high-performing campaigns that speak to your audience the most. But what are these key metrics, and how do they relate to your advertising efforts? Let’s discuss the most important metrics to pay attention to throughout your campaign. Obviously, with video advertising, the more views you get, the higher the chances of conversion. It’s important to see exactly how many people are watching or engaging with your ad. Are your viewers watching your entire ad, or dropping off after a few seconds? Quartile reporting can give you insight on how engaging your ad is with your audience by showing you how often your video is played through a quarter, halfway, three-quarters, and to its completion. If you can keep their attention until the end, you have a better chance of getting them to click through. Track the number of times people click on your video. How does this compare to the number of times your ad is shown? Click-through rate is always an important metric to track, regardless of the type of advertising your business is actively running. While we covered some of the most important metrics, you should still keep an eye on all KPIs that help you determine the performance of an ad. Track unique views, watch time, and average CPV to gain more insights on your ad and help you find ways to optimize its performance. With more than 560 million members, LinkedIn is a social platform used to network with other professionals and organizations in your industry. Ranked the #1 platform for B2B lead generation by marketers, Businesses can use LinkedIn to share and find relevant information and insights about your industry, discover new hires, and even find new prospects who are a right fit for their business. LinkedIn Ads are a great way to reach users in a more professional or formal social setting. With LinkedIn Ads, you are able to target most characteristics related to users’ employment and professional skills. Similar to Facebook, the first thing we recommend is to add the LinkedIn Pixel code to your website. This will help you track users after they get to your website. LinkedIn Ads are created and managed through the LinkedIn Campaign Manager. This organized system keeps track of all your ad accounts, campaign groups, campaigns, and ads. Under the Accounts tab, you can see all the ad accounts your personal account has access to (if you have more than one). If you manage multiple companies or clients, this is where you could toggle between accounts. Under a specific account, you can access the Campaign Groups tab. Campaign Groups allows you to organize and group together related ads. You are required to set a start date and status for each campaign group. You can also set a total budget*, which would limit the total budget across all the campaigns within that group. *If you set a total budget, you must establish and end date. Within your Campaign Groups tab, you can use the Columns drop-down menu to toggle your columns metrics. The three columns we suggest checking your “Performance,” “Engagement,” and “Conversions & Leads” columns on a regular basis to keep your eye on important metrics to monitor the success of your campaign groups. Within each campaign group, you can use the Campaigns tab to track the performance of each campaign. Like the campaign group columns, you can toggle through the different columns to track impressions, clicks, comments, shares, average click-through rate, and much more. At an overview, you can also monitor how much you’ve spent per campaign as well as the current status of each campaign. Adjust your time range to see how your campaigns are performing over different periods of time. Within each campaign, the Ads tab will organize all of the ads you’ve created for that campaign. Similar to your campaign groups and campaign metrics, you should frequently check important metrics to see how each ad is performing. If you would like to edit a particular ad, hover over the ad and select "manage." There is also a chart you can click on to view these different metrics and how they’ve changed over time. On LinkedIn, there are four ad products you can choose from to build out campaigns for your business. Each ad product requires slightly different steps before you can begin creating your audience targeting and setting your budget and schedule. Let’s discuss each of these ad products and what they mean for your advertising efforts. With Sponsored Content, you can publish your content on the LinkedIn feed, the location most viewed by LinkedIn visitors. Sponsored Content allows you to target your audience to raise awareness, drive leads, and build new relationships. Sending people to a landing page will maximize engagement and allows you to track conversions and see how many people converted after clicking on your ad. Using Lead Gen Forms, you can encourage people to convert directly on LinkedIn without redirecting them to a different webpage. With pre-populated forms, your business can collect contact information, company information, job function, and more about members who found interest in your ad. Uploading sponsored videos to the LinkedIn feed can engage your audience, maximizing views for your video. You can measure impressions, views by quartile, video completes, and completion rate to monitor engagement with your ad. Article, image, or link: With this ad format, you can choose to sponsor a previously posted piece of content, or you can create a new one (if you are a Page Admin). Carousel: A carousel ad features up to 10 image “cards” that users can scroll through. Video*: Create a video from three seconds to 30 minutes to show on the LinkedIn feed. The best performing video ads are less than 15 seconds. *If you select “Get video views” as your campaign objective, you – obviously – can only create a video ad. Text Ads can drive quality traffic and leads to your business. With Text Ads, you can create your ads with ease, and don’t worry – you only pay for the ads that work, meaning per click or per impression. A Text Ad gives you the option to send users to your LinkedIn Company or Career Page, or directly to your website. Once you decide where to direct your audience, you’ll then add a headline, description, and an image option for your Text Ad. Be aware that the character limit for your headline is 25 characters, and the character limit for copy is 75 characters. Because of this fairly restricting limit, it’s important to write concise, compelling headlines. Within this editor, you’ll see a preview of your ad in three different layouts: square, horizontal, and long. Check over each of these layouts to make sure your ad looks good in every view. A great thing about Text Ads is you can create up to 100 ad variations. By adding multiple variations of the same ad, you can compare performance to identify which combination of image and text attracts your audience the most. After finding the ad with the highest click-through rate, you can deactivate the other ads. LinkedIn recommends creating at least two to three ad variations. Where Will Text Ads Appear? Dynamic ads make it easy to create personalized ads for your audience. You can drive traffic to your website and increase followers and engagement on your LinkedIn Company Page. When creating a dynamic ad, you can select from three ad formats. Each ad format has a slightly different look with different editing options, so we will briefly go over what each ad format consists of and what the finished product looks like. Goal: Drive traffic to active job slots personalized to job seeker’s skills and experience. Ad headline: Choose from a preset ad headline or create a custom headline (includes a first name personalization token; character limit: 70). Button label: Choose from a preset button label – “See more jobs,” “View more,” or “Careers at [your company name] – or create a custom button label (character limit: 70). What does the preview show you? What your Job Ad will look like as a “Jobs You May Be Interested In” ad, “Picture Yourself” ad, or a Jobs Page ad. Goal: Get more followers on increase engagement on your Company Page. Ad description: Choose from a preset ad description or create a custom description (includes a first name personalization token; character limit: 70). Ad headline: Choose from a present ad headline or create a custom headline (includes a first name personalization token; character limit: 50). What does the preview show you? What your Follower Ad will look like to both a non-follower and a follower. Goal: Drive traffic to your website or landing page. Ad description: Create a custom description (character limit: 70). Ad headline: Create a custom headline (character limit: 50). CTA: Create a custom CTA (character limit: 18). What does the preview show you? What your Spotlight Ad will look like to a LinkedIn member. With Dynamic Ads, you can create any variation of these three ads to run at the same time. Similar to a Text Ad, LinkedIn encourages businesses to create at least two to three variations to find the best performing ads. InMail* is LinkedIn’s own messaging system where users can send messages directly to another LinkedIn member that they aren’t connected to. With Sponsored InMail Ads, you can send targeted messages to individuals directly. Create personalized messages to your target audience to drive conversions, and A/B test your ads to find the perfect messaging for your audience. *Note: To use InMail, you must have a Premium account. Collect leads using LinkedIn Lead Gen Forms. Next, select the sender for the InMail, who’s name and profile image will appear in the recipient’s inbox. It’s important to select a credible person as your sender so recipients will be more trusting of the message and open it. Creating the subject line and message content is the most important step, as it is the content that will be advertised to the intended recipient. Keep in mind subject line best practices, keeping your message concise and compelling. Your message should be conversational, not as if it was created by an automated software. This is key to engaging with your recipients. LinkedIn suggests keeping your message under 1,000 characters so you don’t lose your recipients’ attention. You can also add custom greetings by using %FIRSTNAME% or %LASTNAME%. Adding these custom elements in your InMail message will add personalization to your InMail ad. Once your message is finalized, you’ll define your landing page and call to action. Your landing page should relate to the context of your InMail message. You can add a customizable CTA button that recipients will click on to direct them to your landing page. The character limit for your CTA button is 20 characters. Your CTA should be clear and include an action verb, enticing recipients to click through. At this point, you can also upload a banner image if desired. 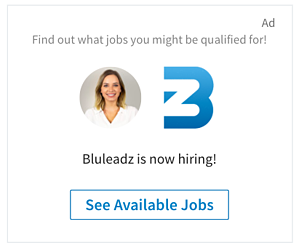 LinkedIn encourages you to include one; if you don’t add one, another banner ad may be shown to your recipients in its place. With InMail Ads, you can also create multiple variations to run A/B testing and find your top-performing subject lines and messages that resonate most with your audience. To help your campaigns succeed, LinkedIn has many targeting options to help you narrow your ad reach to your ideal audience. You can create a custom audience for any campaign and ad product. When creating a targeted audience, you must first select at least one location to target, whether it be by country, state, city, or town. LinkedIn suggests adding no more than 20 targeting criteria to create your ideal audience. Depending on certain criteria you select to target, other criteria may become unavailable. For example, if you chose to inclusively target your audience based on job title, you’ll no longer be able to target by job function or job seniority. Tip: Check out the right sidebar of your screen to find “your estimated target audience.” This can show you the estimated number of LinkedIn members your audience targeting narrows down to. For Text Ads, LinkedIn suggests targeting between 60,000 and 600,000 members; for Sponsored Content, LinkedIn suggests aiming for an estimated audience above 300,000+ members. Set your daily budget to define the maximum amount you are willing to spend on an ad campaign in a single day. While the minimum daily budget is $10, LinkedIn suggests bidding at the higher end of the bid range to help you win more frequently in the auction. There is a short period of time after reaching your budget that your ad might continue to display to LinkedIn members. Because of this, LinkedIn does warn that your daily spend could actually be up to 20% higher. Automated bidding utilizes machine learning to get the best performance for your budget, while maximum bidding ensures better cost control. Lastly, you’ll set your campaign start date. Choose to either start your campaign immediately or select a scheduled start date. If you choose a start date, your campaign will begin at 12:01 a.m. on the morning of the date you’ve selected. Forecasted results is a handy feature to use when setting your budget and schedule. Depending on the daily budget and bid type, you can use this tool to calculate your estimated impressions, click-through rate, clicks, and potential spend. You can use forecasted results to calculate these metrics over a seven-day or 30-day period. If you are looking to track the performance of conversion and lead metrics, you should try LinkedIn’s Conversion Tracking and Lead Gen Forms. LinkedIn Conversion Tracking is a handy tool within Campaign Manager that any business can use. With Conversion Tracking, you can see how many leads you’re acquiring from your ad campaigns and track conversions, conversion rate, and cost per conversion. Once you’ve done this, you’ll establish a conversion action – such as filling out a form on your website – add that action to a campaign, and voila! You can now track your conversion performance within Campaign Manager on LinkedIn. Lead Gen Forms generate high-quality leads through pre-filled forms. With Lead Gen Forms, you can track the number of leads you are getting as well as cost per lead. All of the leads you acquire from your Lead Gen Forms can be downloaded from Campaign Manager or integrated with your own CRM. As mentioned previously, there are a wide variety of metrics you can toggle through within Campaign Manager to help track the performance of your ad campaigns. Use these insights to find the high-performing ads that are accomplishing your goals. Insights is a built-in tool within LinkedIn that is designed to help businesses improve the performance of their campaigns. 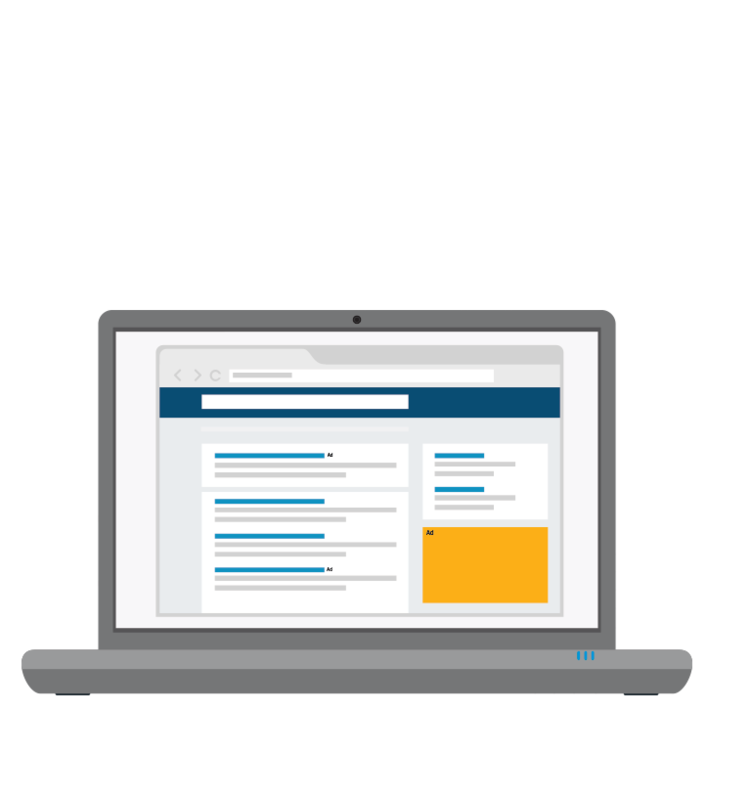 With Insights, you can monitor your budget and gain “best practice” intel on how to adjust your bidding and budget to optimize your ad performance. To locate these insights, toggle to the Budget & Bid column from the column drop-down menu, then simply hover over the Daily budget, Total budget, and Bid columns. Insights will tell you your average daily spend for your campaign and can help track the pacing of your budget. It will also show you how your bid compares to other businesses and ways to improve your bid to improve your overall ad performance. Overall, your business should be very active on Campaign Manager, consistently tracking your campaign performance and finding ways to improve them. Like we’ve recommended already, set up A/B tracking on your ads to discover the ads that resonate with your target audience the most. Display ads are images or text ads that show up on websites or apps. Display ads are run through the Google Display Network, and they appear on over two million websites and in over 650,000 apps. The Google Display Network is Google’s collection of network sites that agree to host display ads somewhere on their website. When users are in the Google Display Network, they might just be going about their day on different sites and apps. In order to gain their attention, it’s important to create ads that intrigue them enough that they click through to your website or landing page. With all these opportunities, using display ads can reach 90% of internet users worldwide, yet you can target your desired audience to reach the right people. Utilizing display ads is a great way to reach out to potential customers who may not have found you in a traditional manner (ie. search) and to re-engage users who have interacted with your business in some way before but might not have completed your ideal action, such as filling out a form or making a purchase. The main reason to utilize display ads is to gain brand awareness and website traffic. In all forms of display ads, and especially with remarketing, you are able to stay in front of your potential customer and provide them the constant reminder that you can help solve their problems or relieve their pain points. In order to gain their attention, it’s important to create ads that intrigue them enough that they click through to your website or landing page. Similar to ads on Google search, text ads include a headline, description, and a URL that sends users to a landing page or website page when they click on your ad. This type of display ad allows you to show custom ads in Gmail so users can save, forward, and expand your ad in their inbox. These ads let you customize your ads with different layouts, interactive elements, animations, and more. Use these display ads to target specific mobile app categories. Creating a display ad is similar to creating a paid search ad within Google Ads. When you create a new campaign, you will be prompted to select your campaign type. Select “Display,” then follow these key steps. When you select a goal, the rest of your campaign settings will be suggested to you to help you accomplish that goal. So, depending on the campaign objective for your campaign, certain options may be available or unavailable. If you select a sales, leads, website traffic, or no goal, you will be prompted to choose a campaign subtype: Standard display campaign or Gmail campaign. When setting up your display ad bidding, you have the option to 1.) answer a few questions to receive a tailored bidding strategy or 2.) select a bid strategy directly. If you choose to create your own bidding strategy, you can choose from a list of bid strategies, broken up by automated and manual for your convenience. Use the tips on the right side of your bidding section to learn key information about the options you are selecting. Google Ads included these to help you learn more about what to choose that will benefit your business the most and optimize your ad bidding. As with any type of ad, it’s important to narrow down the audience you want to show your ads to. When you target your audience, you are able to define the ideal people that would enjoy or benefit from your ad the most. The audience targeting options with display ads are similar to that of paid advertising on YouTube, where you can select audiences based on affinity, custom affinity, in-market, custom intent, and remarketing. With display ads, you can also select similar audiences. Ex. A beauty business might want to add the affinity audience who “Frequently visits salons.” They can create a custom affinity audience by adding relevant interests that represent this audience, website URLs your audience might visit, places your audience might spend time, or apps your audience might use. Ex. That beauty business might want to add the in-market audience who is actively researching Bath & Body Products and Face Care Products. They can create a custom intent audience by adding keywords and URLs related to the products and services they are searching for. Ex. Find website visitors, apps users and other types of users that have interacted with your business in some way. Find similar audiences to expand your reach and target new users that share similar characteristics as your website visitors. Also similar to YouTube advertising, you can modify your audience by certain demographics, including gender, age, parental status, and household income. Use this targeting to reach potential customers that fit the demographics of your business. A beauty business for women would likely exclude men from seeing their ads to better target their female audience. You can narrow your campaign reach even further by including keywords, topics, and placements. Adding keywords that are relevant to your products or services will help you target users who are searching those terms. 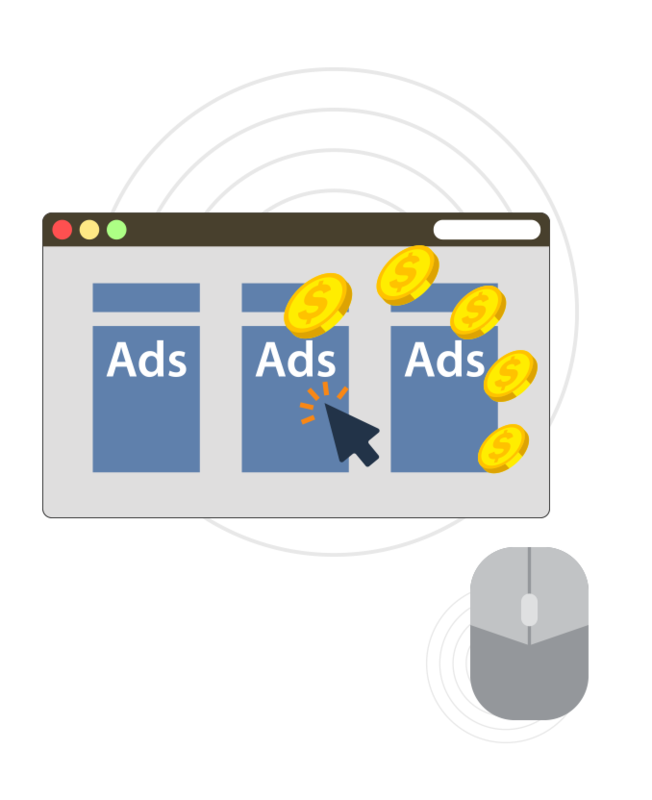 Use placements to display your ads on multiple websites within the Display Network that your ideal user visits. Consider the Look of Your Ad. To improve your display ad performance, consider the look of your display ads. In order to gain the attention of a scrolling user, use text, images, and color schemes effectively. Be sure to represent your brand in your design, but don’t clutter your ads with irrelevant text or images. Experiment with different ad styles and run A/B testing to identify the top-performing ads. These are most likely the ads that attract your ideal audience the best. Use Concise and Compelling Headlines and Descriptions. Share promotions and exclusive with your audience. Add coupons, promo codes, and special offers to get people to click through to your website for some great deals. Let your customers know exactly what they are getting when they click on your ad. Make sure your CTA relates to what you are advertising and the landing page you are sending them to. As with any advertising efforts, it’s imperative to constantly keep track of how your ads are performing to identify both strong and weak points for improvement. This is just a view. How many impressions is your ad getting? Is your ad reaching a wide audience? The higher this number is, the higher chance for clicks and conversions. Are people engaging with your ad in some form or another? This could be hovering over the ad, watching a short video, or listening to audio. Tracking this can help you see how people are taking notice of your ad. The more engagement with the ad, the more likely they will click through. With display ads, CTR does tend to be very low. How many people are clicking through to your website or landing page after seeing your ad? This is calculated by dividing the number of clicks by the number of impressions. Digital advertising helps put your company's name out there, increasing your brand awareness and driving conversions to your site, products, or special offers. Utilizing all aspect of digital advertising will give you the most opportunity to grow your reach and find new, right-fit customers. Run paid search ads to find prospects that are actively searching online. Target individuals that are searching for words relating to your business industry or your services and products. Run paid social ads to engage users on the most used social media networks. Create eye-catching, engaging content to increase your chances of getting more clicks. Run display ads to find prospects on the websites they frequent. Make sure your ad is compelling enough to encourage them to leave the site they're on to click to yours. Don't forget to monitor all the key metrics of your advertising efforts to track your campaign performances and find areas of improvement. Your advertising efforts should always be evolving with fresh ideas, text, and images. Grab someone's attention. Make a statement. Get that click.